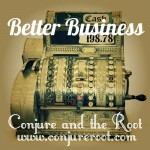 Better Business products help aid to bring in customers and increase profit for business owners. 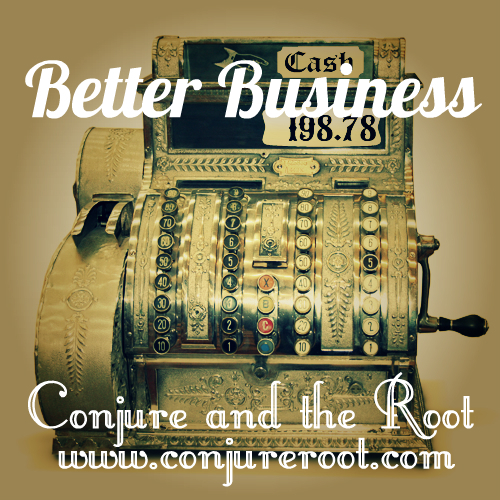 Many ways to use Better Business supplies include hoodoo ritual magic oils, hoodoo sachet powders, floor wash, and hoodoo ritual baths. Better Business supplies can be used in conjunction with saints such as San Martin de Tours, St. Philomena, or St. Joseph the Worker. Shop keepers can use Better Business floor wash to wash the side walk to the front door of their business early mornings before opening to the public. Wash the inside of the shop from front to back and use Psalm 8, burn better business incense, and light a Better Business Novena. Other tricks are working with Lodestones, keeping a Rose of Jericho in a bowl of fresh water, working a honey jar for sweetening and attracting customers, or creating a green colored oil lamp filled with money attracting herbs.